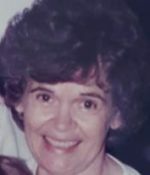 Remembering Mary Valle | Remembering Mary Valle | De Soto Obituary Search | Dietrich-Mothershead Funeral Home, Inc. Remembering Mary Valle | De Soto Obituary Search | Dietrich-Mothershead Funeral Home, Inc.
Mary Lavinia (Hendrix) Valle, 89, of DeSoto, passed away February 17, 2016 at the ClaRu DeVille Nursing Center. Mary was born May 6, 1926 to the late Ira and Bessie (Hopkins) Hendrix. She was also preceded in death by her loving husband of 62 years, Harold David; Brothers: Warren, Ernest, Harvey, and Roy; Sister: Bessie; Son: Harold Wayne; Two foster daughters: Donna Kay and Peggy Lee; and Grandson David Wayne. Mary is survived by her daughter Neva Jane (Valle) O’Brien (Tim); Son Daryl Duane Valle (Kristina); Brother Robert Henry Hendrix (Rayleen), Brother Charley Everett, a very special daughter in Law Karen Moore (Jerry). Grandchildren: Kathy Valle, Michelle Knight (Heath), Jenise Bridges, Aaron Bridges (Tiffany), Kyle Valle, Melissa O’Haver (Timothy), and Lea Valle. Great Grandchildren: Jennifer Lee, Christy LaFaye, Jasmine June, Ariel Sue, SierRa Nicole, Austin Lee, Gatlin Michael Walker, Gabriel Jacob, Caden Lee, Ian James, Kaitlyn Nicole, Keiran Paul, and Izik Harold James. Great Great Grandchildren: Madison Rose and Gavin Robert and many nieces and nephews, cousins, and friends. Mary was married to her love Harold on August 14, 1944. They enjoyed a full life together, raising their family, traveling, dancing, and enjoying their days together. They enjoyed their retirement years traveling throughout the United States visiting many states and making beautiful memories. Harold and Mary were avid dancers as well. In 1984 they returned to school to become square dancers. They were certified in Square Dancing, Round Dancing, Country Western, and Ball Room Dancing. Mary was a terrific seamstress and would make all their coordinating outfits for their dancing ventures; including their grandchildren. 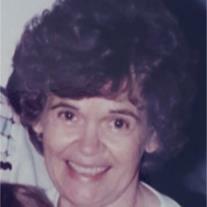 Harold and her were members of the Parkview Baptist Church of DeSoto. We are all blessed to know Mary is now in the arms of the Lord.